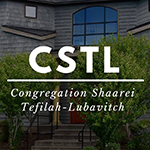 There are various ways to enable Congregation Shaarei Tefilah-Lubavitch's work, as indicated below. We appreciate your support! You are welcome to make additional donations by returning to this form after completion. * stands for required information. Choose from belowAliyaChildren's ProgramSynagogue SecurityFull Kiddush ($250)Kiddush Light ($150)Kiddush Chulent ($100)Kiddush co-sponsor ($50-$149) Kiddush, Aliya, Children's Program, Synagogue Security etc. Choose from belowBuilding Operations UpkeepGeneral Operating FundBooksChumashSidurChildren Playground Equipment Upkeep and Operations, Chumash and Sidurim, Children Playground Equipment etc.